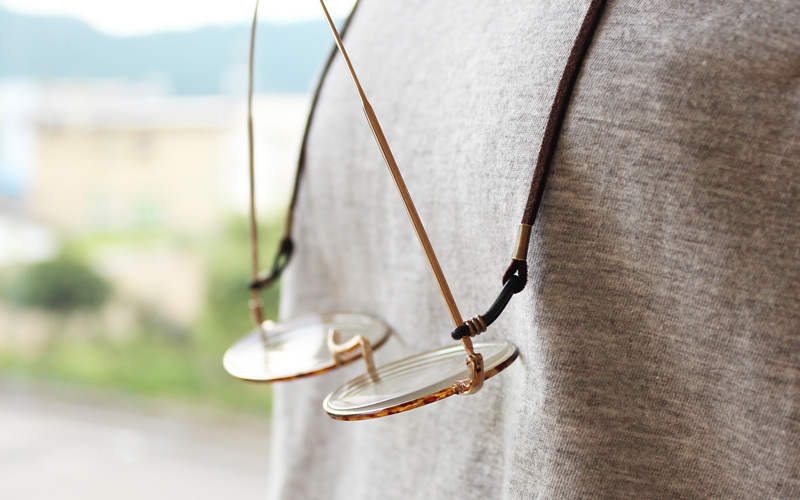 With this eyeglasses holder, you can casually carry your eyeglasses with you. 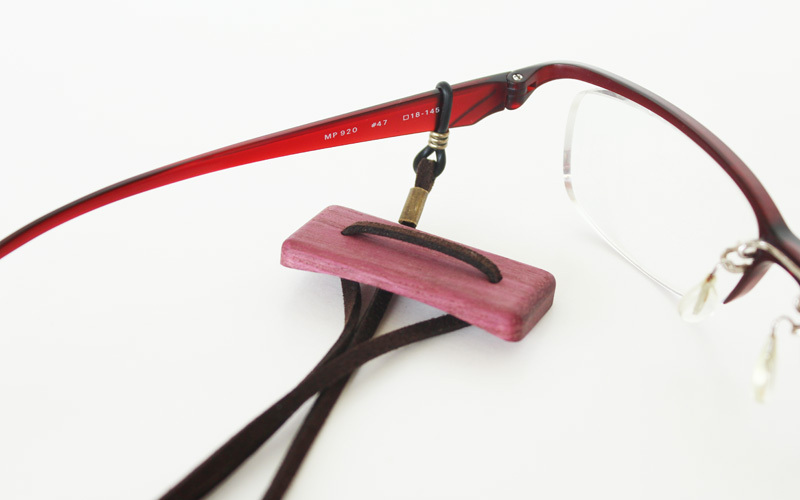 You will never misplace your reading glasses or sunglasses again. Elastic rubber ends on leather cord fit temples of your eyeglasses. 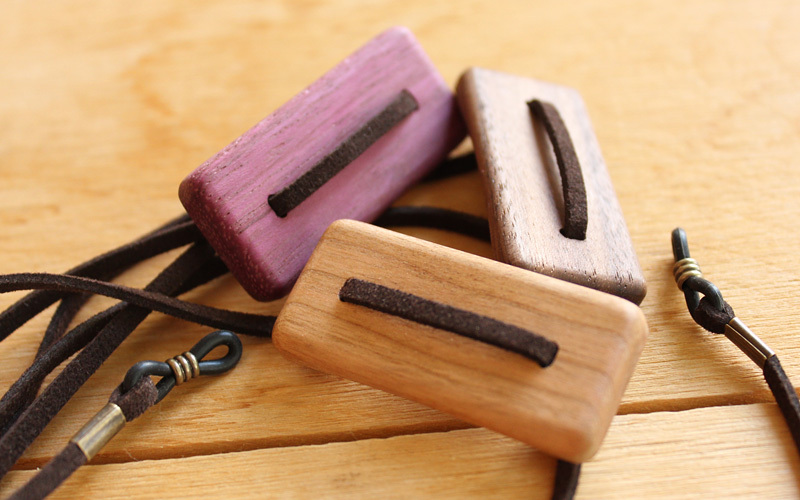 Wooden plate at the back of the neck, with a curve which fits smoothly, lets you adjust the strap length.